analytic functions to track the impact of the published content. The Semantic Observatory for News Analytics and Repurposing (SONAR) will address these requirements by providing a comprehensive data analysis and visualization product for news organizations to support editorial decisions and the day-to-day workflow of journalists, including dynamic widgets to enrich the current offering of news organizations (e.g. Web sites, mobile applications, newsletters, etc.) 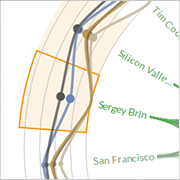 based on a modular Visualization-as-a-Service (VaaS) approach. The resulting tools will be offered as stand-alone widgets to enrich news applications, or fully integrated into a visual analytics dashboard for journalists to track the impact of news reporting on the public debate. 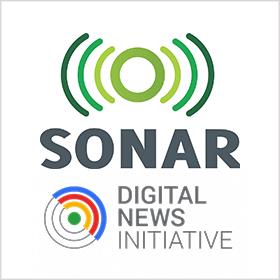 SONAR will be positioned at the core of the European news value chain. The project is a collaboration between ProSiebenSat.1 PULS 4, Austria’s leading private TV company, including the channels PULS 4, ATV and ATV2, and webLyzard technology. SONAR will leverage the capabilities of the webLyzard Web intelligence platform, which has already attracted research funding of more than 7.5 Mio Euro. Proven in high-profile reference projects with the United Nations, NOAA Climate.gov and large consumer brands, its semantic engine will power SONAR’s data-centric methods for analyzing and visualizing public debates for newsrooms and content owners. A stakeholder forum with major European news organizations will help align the advances of the project with evolving industry requirements.